The Journal of Environmental Investing (JEI) is pleased to announce a call for papers in all topics related to climate/green bonds. The issue will be guest edited by Dr. Kim Schumacher, Research Associate, Smith School of Enterprise and the Environment, University of Oxford. The journal will accept 500-word abstracts until April 30, 2019. The expected publication date is October 1, 2019. This edition will explore the extent to which sustainability-oriented and climate-aware fixed-income securities can support the mainstreaming of environmental, social, and governance (ESG) principles across the financial sector. The volume of ESG-related bonds has been increasing exponentially since their inception by EIB in 2007 and following their expansion by the IFC in 2010. Today this fixed-income securities category is represented throughout the entire investment chain, ranging from corporate to municipal bonds and sovereign bonds. Therefore, this special issue welcomes articles from practitioners, professionals, business leaders, regulators, and academics highlighting the transformative power of ESG-related bonds and the extent to which their often-unique characteristics have an impact on environmental investing as a whole. Please submit your abstract to submissions[at]thejei.com. More information on this opportunity and the JEI can be found at www.thejei.com. Exchanges have been playing a fundamental role in the development and stimulation of green bond markets. They have created a transparent green marketplace and served both issuer and investor sides of the market. This development has always been driven by both market and public forces since the first issuance of green bonds in 2007 by the European Investment Bank (EIB). The goal of this paper is to take stock of achievements made by five green bond exchanges in Europe (Borsa Italiana – Milano, London Stock Exchange, Luxembourg Stock Exchange, Nasdaq Stockholm, Oslo Børs). 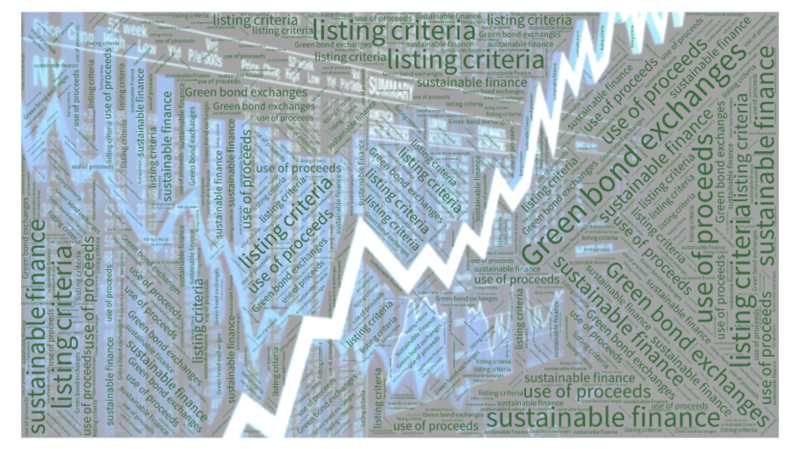 Green bond listings are an integral part of the Sustainable Stock Exchanges (SSE) Initiative, and the European Commission’s Sustainable Finance Action Plan has recently acknowledged their key role. 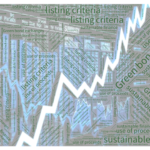 This paper introduces the role of exchanges in green finance, reports on the EU’s sustainable finance strategy development, investigates the “green listing requirements” and provides statistical insights into listed green bond markets (number and value of traded bonds, average issue value, maturity of bonds, redemption structure and trading volumes, currency structure, etc.). To aggregate and concentrate the information of our statistical analysis and measure green performance, we prepared simple rankings of green exchanges on the basis of the indicators used in the analysis. Arina Abbott oversees marketing at Green Alpha Advisors, an asset manager that invests public equities in the innovation-driven, sustainable economy. While fossil fuel risk has reared its ugly head in the form of blazing fires, stronger storms, and oil-stained beaches, the U.S. remains home to the highest number of climate change deniers in the world. Meanwhile, systemic inequality has continued to demonstrably strengthen its grip on American society and its economy, yet people still have no idea how unequal society has actually become. I’d like to thank Todd Cort and Dan Esty for their commitment to the exchange of original ideas related to the increasingly important topic of ESG data and metrics. Their scholarship and stewardship helped create what many are now calling a seismic shift in the discourse on ESG. I’d also like to thank all the contributors for their thoughtful, well-reasoned essays and our sponsors for their courage to partner with us on this critical topic. It is with great pride that we brought you this recent special issue of the JEI covering the State of ESG Data and Metrics, which marked our 8th year of publication and was hosted for the first time by two leading academics at Yale, Professors Dan Esty and Todd Cort. We once again thank our sponsors. 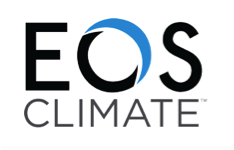 EOS Climate has just completed the first project to generate verified emission reductions (VERs), also known as carbon credits, from the reclamation and re-use of hyrdofluorocarbon (HFC) refrigerants. JEI Publisher Angelo Calvello explores “Divestment as Abdication” in his December column for Chief Investment Officer (CIO) magazine. Homing in on the unique nature of the fossil fuel divestment campaign, he advises CIOs to embrace divestment, but as a call to action: identify, measure, and manage exposure to the risks of carbon and climate with existing analytical tools. The Journal of Environmental Investing (JEI) is pleased to announce a call for papers from graduate and undergraduate students in all areas related to environmental investing. This edition of the Journal will focus on student perspectives on environmental investing. The intent is to promote the “voice” of those who will reap the future benefits of such investments (and conversely, suffer the consequences of poor investment choices). We anticipate publishing between 6 and 10 articles that offer such perspectives. For papers that are selected for publication, our intent is to identify readers in the field of environmental investing who will offer comments and provide additional insights. Stan Meiburg, PhD, Director, Graduate Studies in Sustainability, Wake Forest University, will be the guest editor for this issue. Abstracts of 500 words will be accepted until January 30, 2019. From these abstracts, 6 to 10 will be selected for publication. Final papers [of no more than 3000 words] will be due by April 15, 2019. The expected publication date TBA. We welcome undergraduate and graduate contributions. Papers can be submitted via email at submissions [at]thejei [dot]com. Author guidelines are available for your reference on the JEI website (http://www.thejei.com/information-contributors/), under Information for Contributors. Correspondence, and questions should be directed to Professor Meiburg at meiburas[at]wfu [dot]edu. This edition will explore the extent to which sustainability-oriented and climate-aware fixed-income securities can support the mainstreaming of environmental, social, and governance (ESG) principles across the financial sector. More information can be found at on our profile. 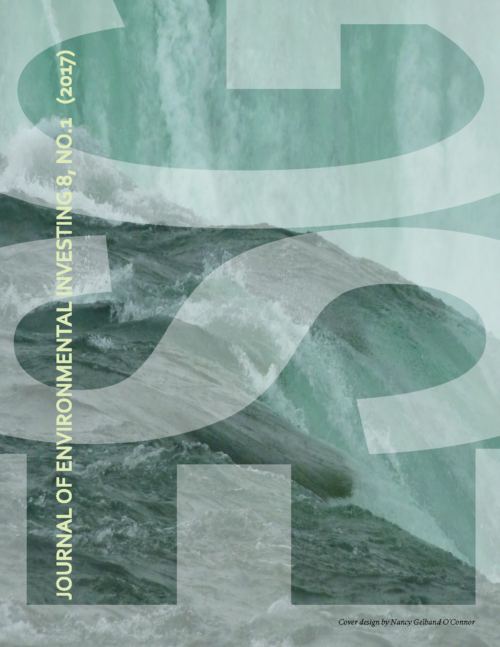 The Journal of Environmental Investing (JEI) is an inter-disciplinary, peer-reviewed, open-access journal that publishes original research in all areas at the intersection of the environment and investing. The JEI presents research papers, commentaries, case studies, and reviews on manifold topics. It focuses on the critical issues of creating, deploying, financing, structuring, and managing successful market-based solutions to the environmental challenges of today. The JEI’s mission is to facilitate the flow of capital to solutions to problems arising from natural resource depletion, pollution, demographic changes, sustainability, and climate change. To fulfill this mission, the JEI carries high-impact research articles as well as thoughtful analyses that make environmental solutions more attainable by articulating their investment risks and opportunities. The JEI serves as a platform to bring together disciplines ranging from science to policy to finance, so that such challenges can be pragmatically addressed from academic and applied perspectives. At the heart of the Journal of Environmental Investing is free access to unbiased and objective information about environmental investing. It is written for and by asset owners and managers, investment professionals, scientists, economists, policy makers and regulators, technologists, academics, investment professionals, and other stakeholders interested in the search for real solutions to the sobering state of global environmental affairs.